If you’re not immersed in the IT industry, it can be easy to get lost in the terminology. Especially when similar terms and phrases are used. However, if you’re looking for hosting services, it is important to distinguish between traditional hosting and cloud hosting. The primary difference between the two forms of hosting is the extent of its flexibility and scalability. What are Traditional Hosting Services? Traditional hosting services come in two forms: dedicated hosting and shared hosting. The difference between the two has to do with the footprint of your server real estate. 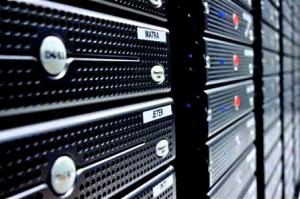 Dedicated hosting is just like it sounds: you are dedicated an entire server or servers at the data center and access to the bandwidth, memory, storage space, CPU and server administration. Shared hosting gives you access to a portion of a server which you share with other websites and hosted servers. It’s less expensive, but can be somewhat limited. Because infrastructure and hardware resources are split amongst multiple customers (tenants), your performance and speeds may experience reduction and lag – depending on configuration and allocation of these resources. If you know your web traffic and/or server workload remains a steady constant, shared hosting is useful and relatively easy to scale and allocate resources. However, for businesses which are growing rapidly, experience dynamic changes in workloads or experience increasing web traffic, sharing space may not be the best option. Resources are typically scaled and charged for the maximum required to provide sufficient headroom to ensure functionality and stability. Cloud Hosting is a hosting option that has grown significantly in popularity in recent years because it is adaptable to the growth and needs of the client. Think of it as an on-demand, pay-as-you-go plan where you only rent the space you need as you need it. Have a big project that requires you to have extra server space for a temporary period of time? Cloud hosting can accommodate that. It works because cloud systems are typically virtualized resources spread across multiple servers, allowing you to pay for the usage, not the resource. Systems and servers can be very quickly “spun up” and configured to provide almost immediate availability. The inherent redundancy provided prevents downtime, even if one of the servers goes down, so you don’t experience loss of data or access to sites, systems or resources. While traditional hosting can be scalable, it cannot match the agility of today’s typical cloud hosting’s scalability or the flexibility in which you can increase or decrease your payments based on your present needs. There are no wasted costs, which is a huge attraction for many clients. Whatever your business needs are, SkyLink Data Centers has a catered, fully customized solution to match. Ask us about our Cloud Solutions or see how we can increase your security and availability through Colocation. With the only Cat 5 hurricane hardened, HIPAA compliant colocation centers south of Tampa and West of Miami, you won’t find a better home for your data, hardware, software and infrastructure.